Looking for fresh apps for your iOS device? We’ve found 19 top apps that were released recently. 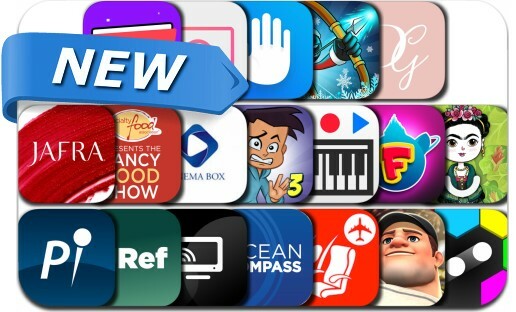 Today’s batch of new apps includes Hex Blaster, Homerun Clash, Sync Up!, Mr Bow, Dont Touch - Device Guard, FlightStickies, coto cinema, Mirror for Samsung TV+ and many others. Take aim and blast all of the shapes! Collect power-ups as you go and unlock special abilities. Complete tasks and unlock new skins as you progress though the game. Sync Up! is a word association game played with a partner. Challenging and fun, Sync Up! will get the wheels in your head turning. See if you and your partner are in sync. You'll be surprised by how many times you are NOT! Play it with a large group, or no group at all. Sync Up! delivers hours of endless fun! The best party starter, all in your pocket!